This is the next post in my series discussing issues which newly single Las Vegas parents must make following a divorce. My last post explained how parents can help children prepare for the first holiday season in which the parents are not celebrating together. 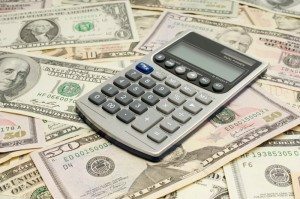 In this post I will discuss financial adjustments many parents do not prepare for before the divorce is settled. I am writing this article because, in many cases, the parent who ends up with primary custody of the children is not always the parent who managed the family finances. When a newly single parent is in charge of financial planning for the first time it can often be a rude awakening as to what they can and cannot afford. For many single parents, even when the other parent is contributing child support and alimony, the reality is that their income is lower following a divorce. This often means making tough life adjustments that they may not have prepared for ahead of time. In order to adjust the first order of business is to make a list of every single bill the family has. This includes rent or mortgage payments, heat, water, electricity, cell phone bills, etc. Subtract that number from the total amount of money one brings in each month and you have the amount of money left over to live on. This amount includes money for children’s clothing, food, school supplies, activities for the children, etc. If that final amount is a negative number then serious adjustments need to be made. Cutting out extras that the family does not really use and can no longer afford- for example, Netflix, gym memberships, music subscriptions, etc. During many divorces there are two big financial drains, which can be difficult to consider, but can help get one’s budget under control. The first is deciding to move. If a parent has fought tooth and nail during the divorce to reside in the family home then it can seem ludicrous to move. But during the emotional fight many parents do not realize that they will not be able to afford to live in the family home. Even if a parent can afford the mortgage payment they often underestimate the total bill once heat, water, and electricity are included in the total. Selling the family home and/or moving to a smaller place is often the first step in making a new budget work. The second is staying out of Court and working towards an amicable relationship with one’s ex. Legal fees can grow to staggering numbers over the course of your children’s lifetime. The best way to avoid a financial drain is to avoid going to Court unless absolutely necessary. If one is having a dispute with their children’s parent, it is important to think long and hard about if the situation is serious enough to spend money on. While sometimes paying for an attorney and going back to Court is necessary, many times such expenses could be avoided. If you are going through a divorce and are unsure about what to expect from the process then contact my office to speak with a Las Vegas family law attorney.